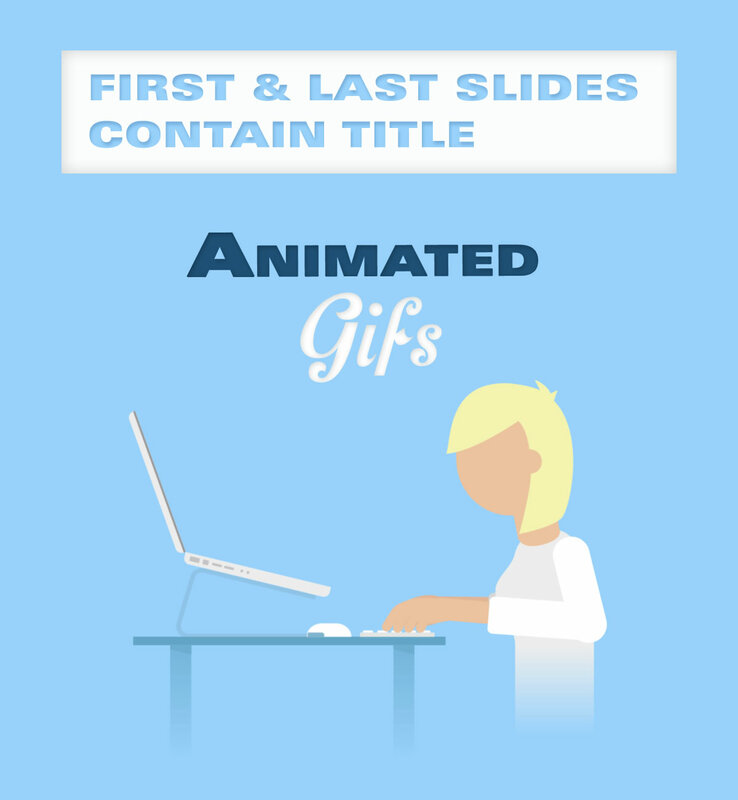 GIF images and animations should be reserved for a special occasion (e.g. annual sale, personalized offer, thank you note, etc.). Your audience can easily grow accustomed to the animations and their impact can diminish. Think of a GIF image as another tool to get your message across: Although GIF images can be used to animate an image to look like a short video clip, you can also use GIFs to add visual cues to drive users to click specific points in an email. You can give a button a "shake" animation, have an arrow point to an image or text, or even give a little animated tutorial on a new or changed feature on your website. Although GIF images are widely supported across major email service providers, it's also recommended that the first frame should match the final/main call to attention frame since not all email clients, such as some older versions of Outlook, will cycle the GIF frames. Remember that GIF images are still images and should follow the same rules of any other image in an email. You'll want to use ALT tags in case your images don't load. Take your mobile users into consideration and keep the file size below 300kb. Long download times can lose your users' attention, or annoy them if their mobile data plans are capped. An easy way to reduce file size is by using fewer colors, avoid graphically intense image frames, and used blurred (lesser quality) transition frames. For templates with mobile responsive design you may wish to test how well the GIF animation looks on a smaller screen vs a desktop.